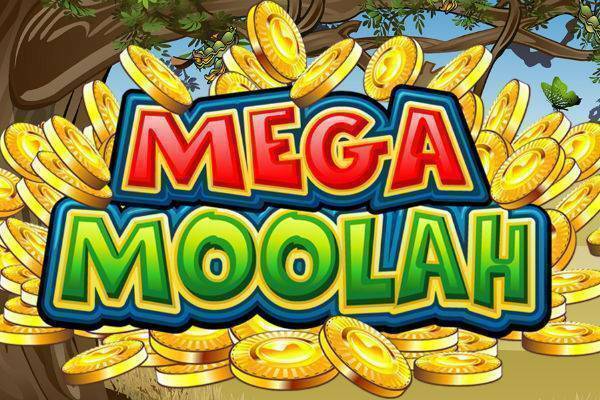 Mega Moolah is a 5 reel 25 payline jackpot slot from Microgaming and holds the world record for biggest jackpot payout ever at £13.2 million back in 2015, incidentally to an unsuspecting British soldier. Having turned a dozen lucky players into multi-millionaires overnight, Mega Moolah and Mega Fortune are the games that made progressive jackpots popular. Mega Moolah a simple and straightforward slot sporting a friendly Safari theme, free spins bonus games, plus four progressive jackpots of varying sizes attached. It’s also known as a low volatility slot, which means you can see some frequent and modest wins, even if you don’t turn into a millionaire. Give this hot jackpot a spin at one these top online casinos. Other than the huge wins possible, Mega Moolah is no different from most slots. So as usual, start by setting your bet size. We like to begin with the Coin Value to the bottom left on the screen, then the number of Lines to bet on, followed by the number of Coins you want to bet per line. Minimum bet can be just as little as a penny a spin, but our tip is to bet on the maximum number of lines to better your chances of winning. At 25 lines and just 1 coin per line, it’s only just £0.25 per spin. The red Spin button is to the right, or you could adjust your Auto play to sit back and let the action happen. The Scatter symbol is a Purple Shaman figure, and will also award small payouts. Let’s get to the burning question you’ve all been waiting for. How do you win the Mega Moolah jackpot? First of all, the jackpot game is randomly triggered, but Microgaming does say that the higher your bet, the more likely you’ll trigger it. Once you’re in the jackpot bonus game, you’ll find yourself in a screen with a Wheel of Fortune. The Wheel has markings for the Mega, Major, Minor and Mini jackpots. Give the Wheel a spin, and where it lands will be your prize. Hopefully it will be the Mega jackpot. In any case, all of four of them are progressive jackpots, with Mega being the biggest one with a minimum size of 1 million, Major being at least 10k, Minor at 100, and Mini at a minimum of 10. Free Spins: You’ll activate a round of 15 Free Spins when you get 3 or more of the Purple Shaman Scatter symbols. Scatter wins are multiplied by your total bet (compared to regular wins which are on your line bet), and during the Free Spins, all wins will have a 3x multiplier. Wild Lion: Other than being the highest value symbol, the Lion is also a Wild. Not only can the Lion substitute other symbols (except for the Scatter) to give you a winning payline, but when a Lion is involved in a win, then that win will be doubled. Not exactly the Lion King, but Mega Moolah is a fairly well done slot. The animal characters are friendly, if a but cheeky. The game has the warmth of the glowing sun and the piles of golden coins. Sure, there are no fancy 3D graphics and things like that, and the music is a bit generic, but Mega Moolah still stands well against the test of time. To be honest, practically anyone who’s ever played an online slot will know Mega Moolah. This is Microgaming’s most famous progressive jackpot because it regularly pays out in the millions. But even if you don’t land the ultimate jackpot win, this slot still has a fairly good game play with frequent wins topped with free spins and multipliers. Try your luck with Mega Moolah at one of these popular and trusted online casinos.